We ship frozen food Monday and Tuesdays only. We ship from the state of Pennsylvania. All orders have to be in minimum of 1 day prior to the next ship date. Orders are done first come first serve. We can do about 200 boxes in a day.. If we are over that amount by the time you place your order you will be scheduled for the following ship date. Example if you order on Sunday and we are at our max for Monday your order will ship Tuesday. If you want date specific shipping order a few days in advance and request the ship date in comments box keeping in mind we only ship Monday and Tuesday. Non-frozen items, if ordered separately from frozen, typically ship via FedEx Monday-Thursday and Priority mail on Fridays. 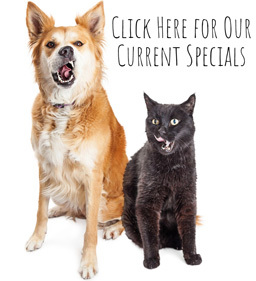 Non-frozen items include Treats, Supplements, Bedding, Essential Oils, Toys and Freeze Dried products, all of which ship for a flat rate of $7.99 with no min or max amounts required. We ship all frozen food orders FedEx . Please note we need a physical address for shipping. NO P.O. boxes. When you check out you will have different options for shipping. Ground or home delivery is the least expensive shipping method although ground/home delivery means this is shipped via truck. In the warmer months this will mean more thawing. There are also options for overnight delivery, 2 day air delivery and 3 day express. If you are showing a 1 or 2 day transit the items should arrive with minimal thawing. The more product you have in your box the longer it will take to thaw. Larger package sizes such as 5 lbs. takes much longer to thaw then 1 or 2 lb sizes. If you want minimal thawing get 5 lb packages whenever possible or upgrade to air shipping with a faster transit time. Note: Days in transit, the day order ships is not counted in the transit time. Example: A Monday ship date with a 2 day transit would mean it gets to you on Wednesday. If you only order 10-30 lbs of product and or are a 3 or 4 day transit, I WILL NOT GUARANTEE THE PRODUCTS WILL BE FROZEN. I address thawing on the FAQ. Again the larger size bags and the more you put in your box the longer it takes to thaw. 55 lb of product will fit in one box. There is a calculator on the check out page that will tell you how many lbs you have in your cart. The longest transit time for frozen food is 4 days in the winter months and 3 days in the warmer months. All 4 day shipments have to ship on Mondays only and the order needs to be placed by Saturday. Note on 4 day shipping: 4 day shipping is offered when the weather is consistently in the 40's across the country. Ground/home delivery means shipped by truck and the weather has to be cold enough to keep the product cold while in transit. There is no set time as to when 4 day shipping will start or ends as it depends on weather conditions. I will post on our Facebook page and send a newsletter when this option is enabled and also when we will discontinue. Typically we begin in November and end in April, but again, it all depends on weather. When possible, order the largest size products available, as smaller sizes will thaw faster. For example: Ordering 5 lb package will take longer to thaw then 1 lb packages. Also, our 5 lb ground packages come at a $.50 per lb discount, price is reflective. Along with ordering large package sizes, I would also recommend filling your box according to the weights provided above. The weights per box size will help maximize your shipping cost and will help keep your products frozen during transit. When will your shipment be scheduled for delivery? Keeping in mind that we ship our frozen products on Mondays and Tuesdays only each week. Unfortunately, we do not ship to Washington State given the lengthy ground transit time, as well as, the high cost to register each of our products with the State. Monday, May 27th - Memorial Day, No shipping. Monday, July 1st and Tuesday, July 2nd - Independence Day - No shipping this week. Monday, September 2nd - Labor Day, No shipping. Week of November 25th - Thanksgiving, No shipping. Christmas - New Years - The last ship day prior to Christmas is Monday, December 16th and we will resume shipping on Monday, January 6th.